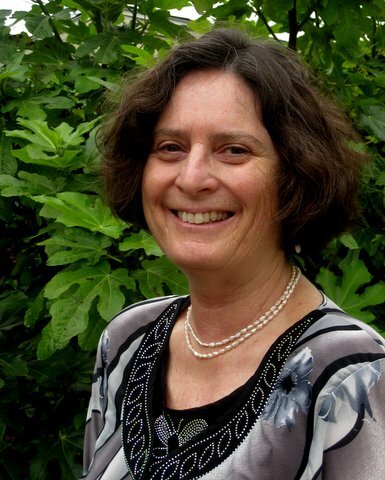 Pam Frydman is a rabbi, educator, pastoral counselor and author. She serves as Interim Rabbi of Congregation B’nai Emunah in San Francisco, a proud member of United Synagogue of Conservative Judaism. She was founding Rabbi of Or Shalom Jewish Community in San Francisco and Interim Rabbi of Congregation P’nai Tikvah in Las Vegas. During her tenure with Or Shalom, she founded a religious education model based on self-motivation and love of learning as well as a training program for teenagers to become religious school teachers, childcare providers and role models for younger children. In addition, she founded a Torah study model for adults focusing on pshat and midrash ((the actual text of scripture) as well as the teachings of the commentators). She has taught and led in a number of other setting, including the Aquarian Minyan of Berkeley where she served as a Rabbinic Intern. She is a Holocaust researcher and served as Director of the Holocaust Education Project at the Academy for Jewish Religion, California. She has authored Holocaust short stories and is working on a book. She serves on the Executive Committee of Ruach Hiddush, Rabbis and Cantors for Religious Freedom and Equality in Israel. She was founding Co-Chair of Rabbis for Women of the Wall and founding Coordinator of the Beyond Genocide Campaign that raised consciousness about Yazidis facing genocide at the hands of so-called ISIS and earned a 2016 Global Citizen Award from the United Nations Association, East Bay Chapter. She was the first woman to serve as President of OHALAH, the international association of Jewish Renewal rabbis and cantors, and she presently chairs the Ohalah Ethics Committee. She served on the Board of Shalom Bayit, Jewish Women Working to End Domestic Violence, and co-founded Shalom Bayit’s Rabbinic Advisory Council that has grown to include over 80 rabbis from Ultra Orthodox to Reform. She served on the Organizing Committee of Beyond Silence, a campaign to raise consciousness about child abuse. As part of the Beyond Silence Campaign, she designed a “Protecting our Youth” website for the Board of Rabbis of Northern California and was a contributing editor for “Combatting Child and Teen Sexual Abuse” hosted on the website of Jewish Learning Works. Prior to entering the rabbinate, she studied other faiths and paths, including Sufism, Buddhism and Theosophy and she relies upon her acquired skills in her interfaith and social justice work. She is the author of Calling on God, Sacred Jewish Teachings for Seekers of All Faiths and a number of prayer books. She is also an occasional blogger for The Times of Israel.